 Push4Parks is a fundraising effort for the betterment of the Macomb Community. Our current project is lighting the Youth baseball diamonds at Veterans Park. Help us support Macomb Little League and other area sports teams with this investment for our community and the opportunities it will provide. Our goal is to raise $500,000 to light the Youth baseball diamonds at Veterans Park. Teams battled to see who would be crowned Disney Trivia Master. At this event, $1244 was raised for Push4Parks. Local businesses partnered with us to sell candy at their locations. Over $700 has been raised for Push4Parks. We partnered with Chubby’s to bring you an evening of fun Hawaiian themed food and beverages. $869 was raised for Push4Parks. Partnered with Magnolia’s for an evening of guest bartending. Over $1300 was raised for Push4Parks.